For many, winter is a time to curl up with a blanket and a warm drink and leave the outdoors until the flowers start to bloom again. However, winter is a prime time to look outside and address any issues you may be facing when it comes to your trees. 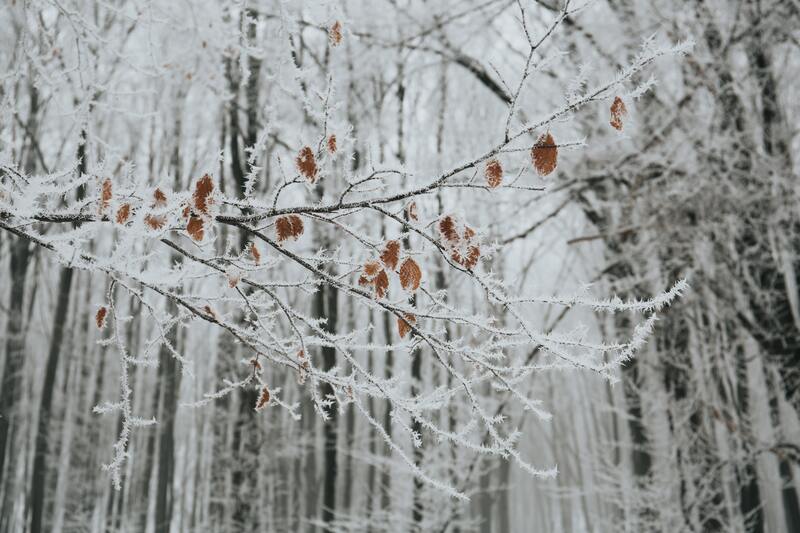 Although Ivan’s provides great tree services all year, winter is the best time to work with your trees to ensure the easiest and most effective services. Working during this time is beneficial for a variety of reasons that benefit both you and the trees. Winter is considered the dormant season for trees. This means that their development has slowed, and they need less energy. Therefore, if the tree is cut, it won’t try to shoot more sprouts to compensate. This means there is no unnecessary stress on the trees and they will heal faster creating a healthier tree. The leaves have usually fallen, taking away a lot of obstructions that would have to be removed in order to locate and address the issues of the tree. Most people are hesitant to remove trees in the winter because they are scared about the impact it will have on the surrounding ground. In actuality, the frozen ground can keep the surrounding vegetation in place and will actually do less damage than in the spring/summer months. For the midwest, winter typically means snow and ice for several months. So, if you have any suspect branches or even full trees that are dead or damaged, it’s important to take care of them during this time. Damaged trees are not nearly as strong as they once were, and with the added stress of heavy snow and ice, they are a potential hazard for everything in their path. This includes powerlines, homes, cars, and anything else in their vicinity. We would love to talk with you more about the benefits of addressing tree issues in the winter and how our services can help in the coming winter months. Contact Us today for a free estimate.